We love this case study which was mentioned over at Mobile Marketing News earlier in the week. 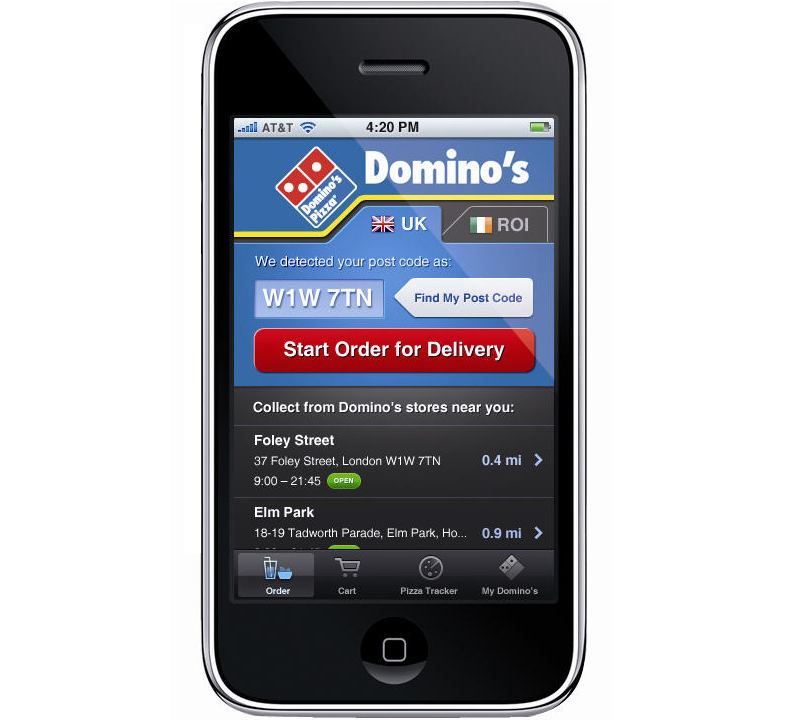 It mentions that Domino's Pizza's had a record month of mobile orders with 13% of their total orders coming in via mobile device, bringing in a sum of £130,000 in one day alone! What a fantastic statistic! "When we launched online ordering just over a decade ago, it was a huge ivestment, but one that has continued to pay off, year on year. To put this achievement in context, 12 years ago we took £100,000 in online sales a year, by 2000 we were taking £1m in a year and now we are taking £1m in a day." Read more about the mobile application over at the Mobile Marketing website, which shares news, views and analysis of all things mobile. This is a great testament to the value of mobile commerce and E-commerce, and shows the important of enabling customers to order and pay for their food no matter where the are. Rocktime believes that companies who invested in mobile early will reap the rewards, but appreciate that tapping in to an unknown market has its risks. However the mobile market is growing at such a pace that today's business really needs to embrace the mobile culture or be swept aside by their competitoes, so developing a clear strategy is essesntial when considering mobile investment. 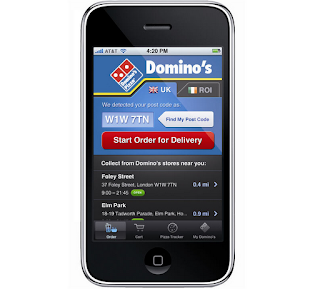 Dominos are a great example of a company who saw the market when it was in its infancy and decided to invest for the future. If you want to discuss how mobile websites and/or mobile applications can integrate with your business, please contact the Rocktime Sales team.